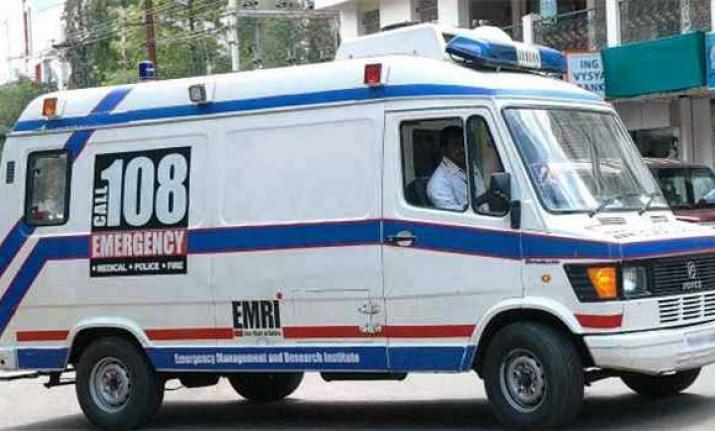 108 Gujarat Mobile App Launches: The Government of Gujarat initiated to implement comprehensive emergency medical services in the state by introducing a fleet of ambulances to cater to entire state and provide emergency ambulance services free of cost to the people of Gujarat. This will not only facilitate the integrated emergency health care management but also help in adopting comprehensive emergency management protocols by providing appropriate Pre-hospital care in the ambulances and admitting the patients/ victims to the nearest government facility within shortest possible time while adhering to 'The Golden Hour' and the 'Platinum Ten Minutes'. Emergency Medical Services were started in Gujarat with 14 ambulances on 29th August 2007 and with a full fleet of 585 Ambulances by the end of 2016 by providing one ambulance per average one lakh population. Considering the present demand and popularity of 108 Emergency Services, Government of Gujarat has initiated Mobile Application for 108 Emergency Service. The service is operational and available 24x7 free of cost. 1) Install 108 Gujarat Application. 2) Make sure your device is GPS & GPRS enabled while calling 108 Gujarat helpline. 3) Follow the registration process. 4) The user can then call on 108 helpline number by clicking on the 108 button. 5) On calling, user’s current position along with registration details will be transmitted at 108 Emergency Response Centre where the 108 associate will be able to see user’s current position in Google maps and on requirement can send nearest ambulance. 7) After assignment of Ambulance User will receive confirmation with the Case ID. 8) User can Track assigned Ambulance, Ambulance distance from the Caller location and Estimated Arrival Time of Ambulance by clicking on Track Ambulance.